Check out this nice bag deal I just found on Nordstrom. 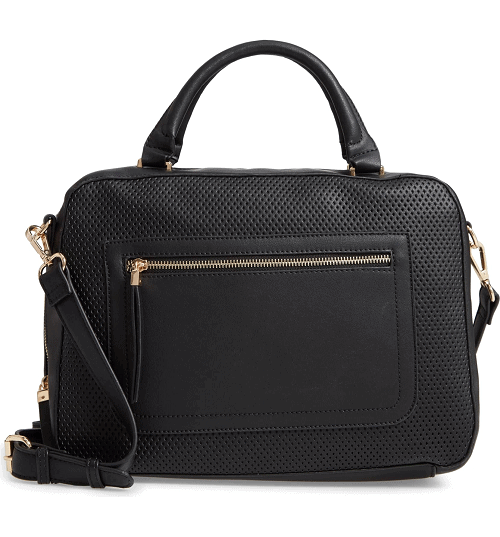 They are offering this Kaylee Perforated Faux Leather Satchel for $9.98! That is down from the normal price of $39, for a 70% savings. Plus it ships for free, as all orders from Nordstrom.com do. 5” strap drop; 20 1/2” -23 ” convertible strap drop.